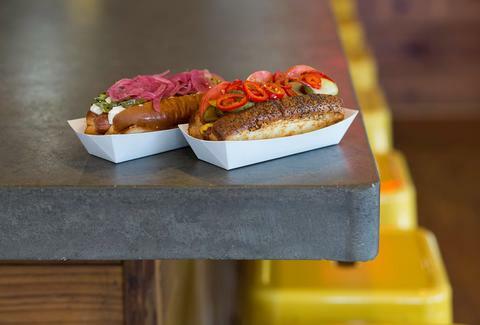 This food truck turned brick-and-mortar dog joint is a powerhouse in the weiner scene. That’s because every big and beefy Texas frank gets stuffed inside fresh, locally-made buns and stacked with addicting housemade condiments and outside-the-box accoutrements. 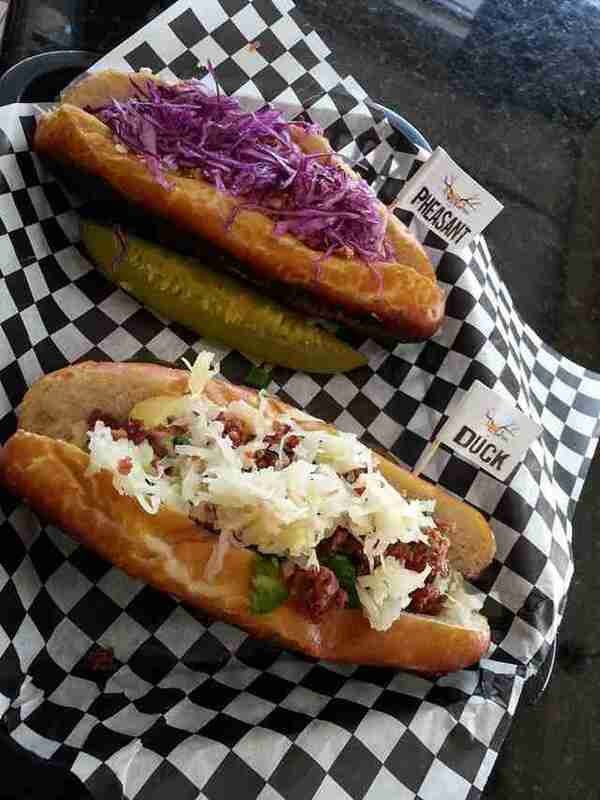 Case in point: The Picnic Dog, where beef chili gets an extra kick from spicy chorizo, and potato salad is served ON (not on the side of) the dog. 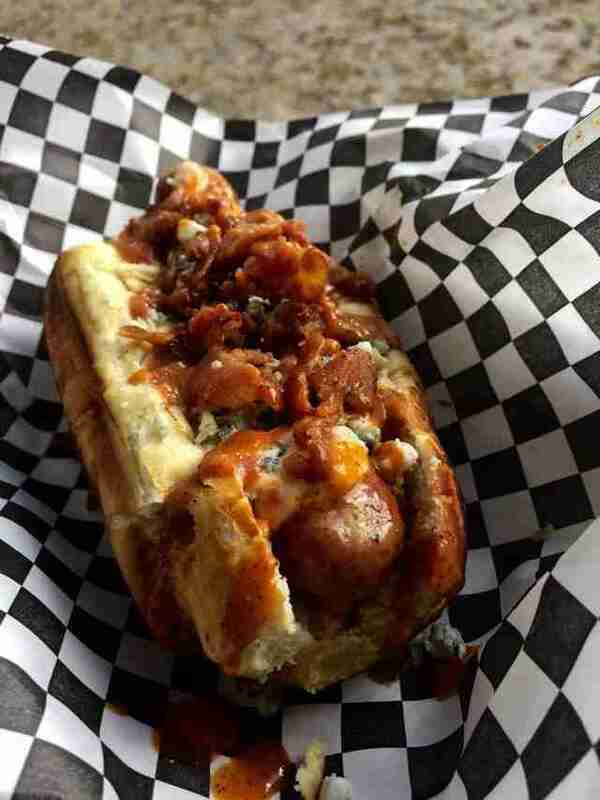 If you’re going to eat a tube of meat loaded with even more meat, let it be this craftsmen-style monstrosity, where a fat and juicy 44 Farms jalapeño cheddar dog gets absolutely smothered with HM’s heat-packing chili. Not enough pizzazz for you yet? The extra helping of cheddar and pickled jalapeño should help with that. This King Kong of hot dogs is probably not something you want to attempt with your hands (unless you totally don’t want that second Tinder date). As if smashing a duo of Wimmer's weenies was a bit too tame, the kitchen stacks on spicy and beefy lager chili, pickled onion and ‘peño, chile con queso, white cheddar, and a fried egg. 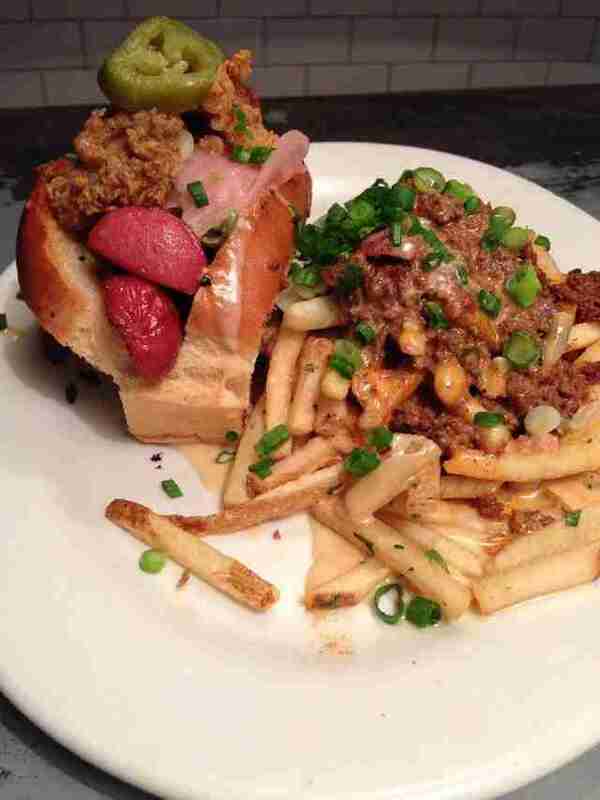 Then, because they’re really just trying to kill you at this point, they serve the dog alongside chili cheese fries. 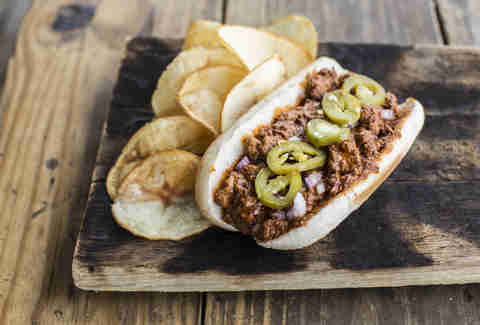 While akaushi beef and artisan creole mustard are awesome, sometimes you just want an old-school, messy-as-all-hell chili dog. 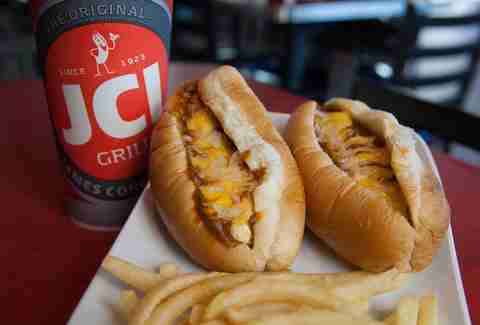 And they don’t get messier or more old-school than the cheesy and meaty, whiz, mustard, and chili coated Cheese Coneys. The grill has been serving ‘em sloppy since 1923. Ever have trouble choosing between a sandwich and a hot dog, then stare blankly at the server’s face for a minute before panic-ordering something you totally didn’t want at the buzzer? 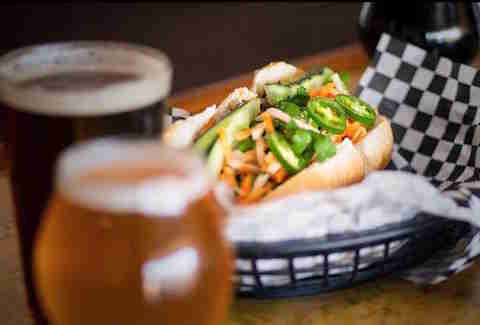 Well, hit up this Pearland beer house and you’ll never have that problem again – because your fat all-beef frank comes stuffed right into buttery French bread and loaded with alllll the banh mi foodstuffs, including chargrilled pork, pickled carrots, jalapeño, and sriracha mayo. Fact: Eat this quarter-pound Hebrew National wiener -- blanketed with creamy slaw and bacon and nestled inside a grilled artisan bun crib -- and you’ll be leaving the specialty dog and dessert shop both happy and fat. Because when you can stack your Texas-sized Angus beef tube with house angus chili, fried egg, and jalapeño cream cheese -- all inside a fluffy and buttery house-made bun -- you do exactly that. Then you finish it with a hand-spun chocolate milkshake and exploding fist bump yourself for being a BOSS. ICYMI, kimchi is the new bacon. Try the hot & sour family-secret kimchi coming out this Korean food truck to see why. 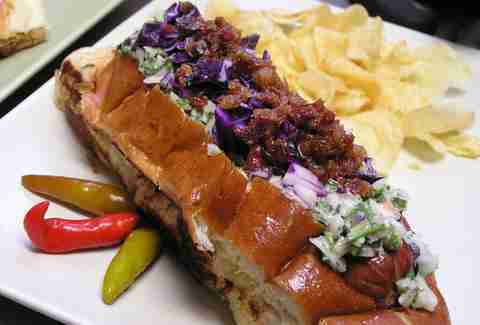 Then get said kimchi atop one of their juicy beef dogs alongside spicy mayo and Asian slaw. 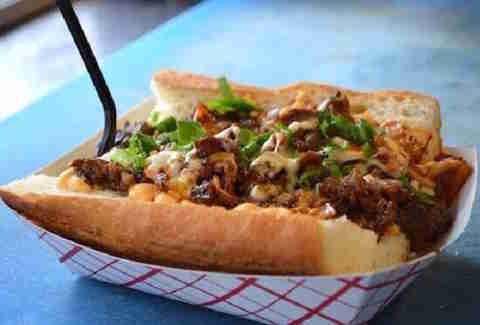 Bonus points if you add it to the Koagie Dog, which is also loaded with marinated ribeye and a fried egg. Trust us when we say a dog spiked with cognac is a dog you want to try. Load the pheasant frank your way with toppings like fried onion strings, dill relish, and bacon bits; then pick a fiery sauce to drizzle across the top. Warning: The ghost pepper is most definitely not a joke.